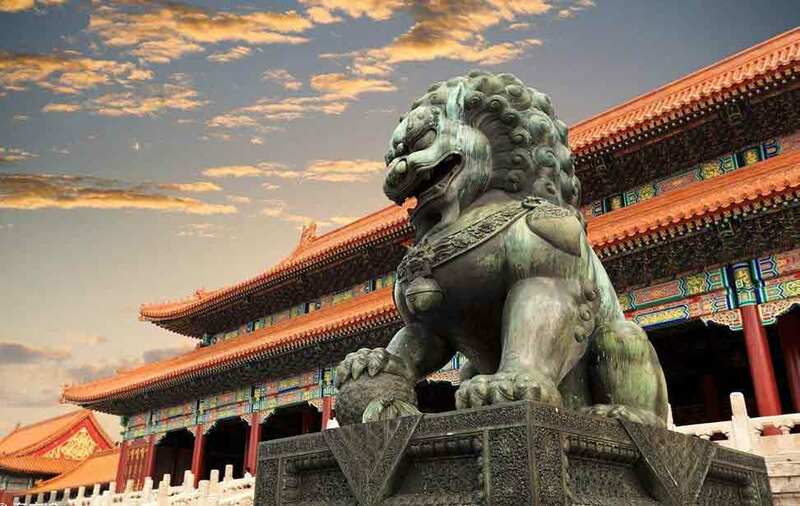 Beijing as the capital city for the last 800 years from 12 century has a lot of word heritage sights and rich history and culture makes it is the most tourists city in China. Some of these attractions have become very popular with tourists, and some are still little-known treasures. For some of the sights, if you change a tour plan, it will make your experience more unique and remember for life. 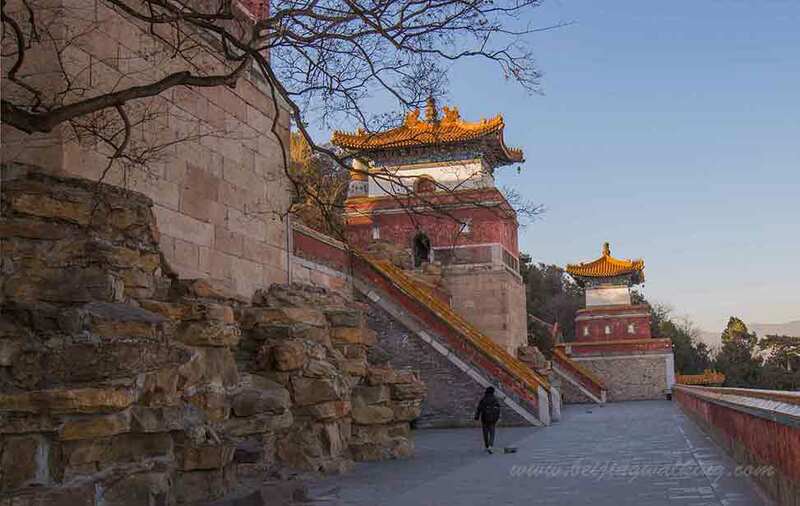 The Jinshan park is a manmade hill in the middle of Beijing city, from where you can see the whole Forbidden City as well as the whole city. 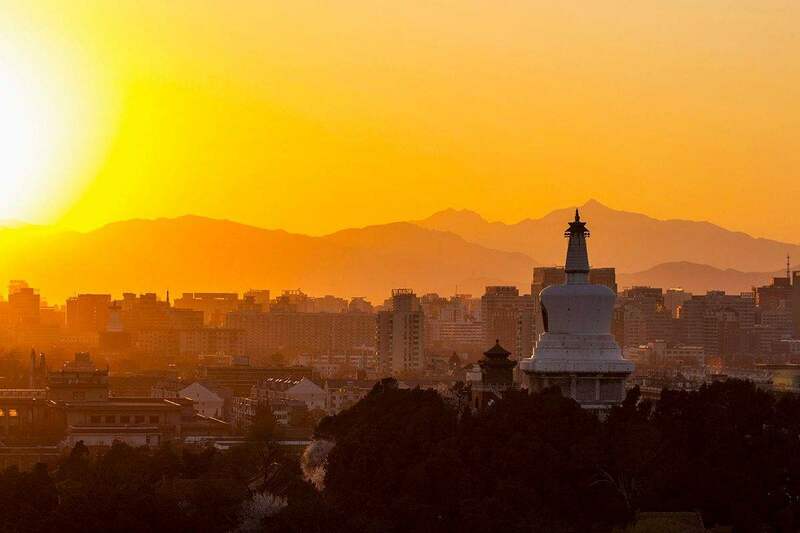 Jingshan Park is close late in the evening, (8 pm from November to March, 9 pm from April to October). The entrance fee is only 2 RMB per person. If you don’t mind weak up early, to see the sunrise will be more quiet and special, but it is open 6:30 am, you may not get the sunrise in Summer. This is very important, Forbidden city host 1.5 million tourists each year, it got busy in the morning since it is open. But it is much quieter before it is close. (4 pm in winter and 5 pm in Summer). If you want to take a photo without many tourists, GO LATE! 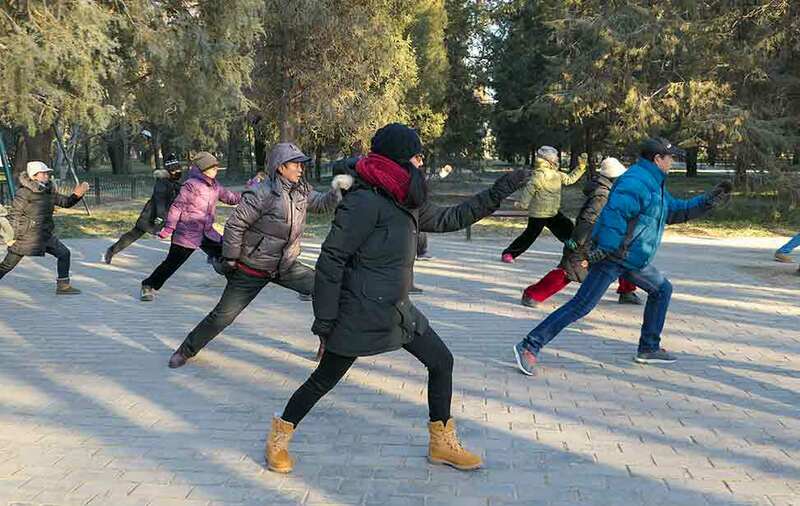 Temple of Heaven is one of the Unesco heritage sights in Beijing where locals do a lot of activities in the morning. Don’t just watch, just them and you will get a lot of fun. Talk with locals and see the local life. Be sure to get there before 9 am. If you are lucky, you will see the blind dating corner at the 7-star rock(it happens Monday, Wednesday and Friday). 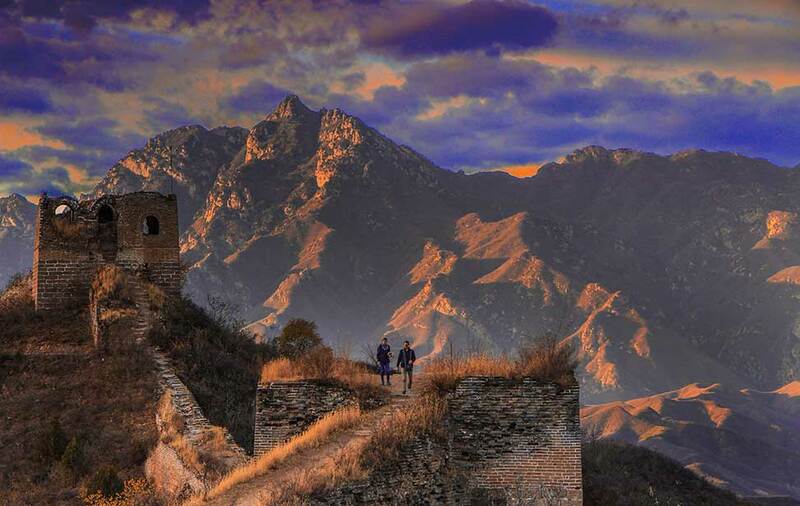 The Great Wall of China is over 6000kms long. 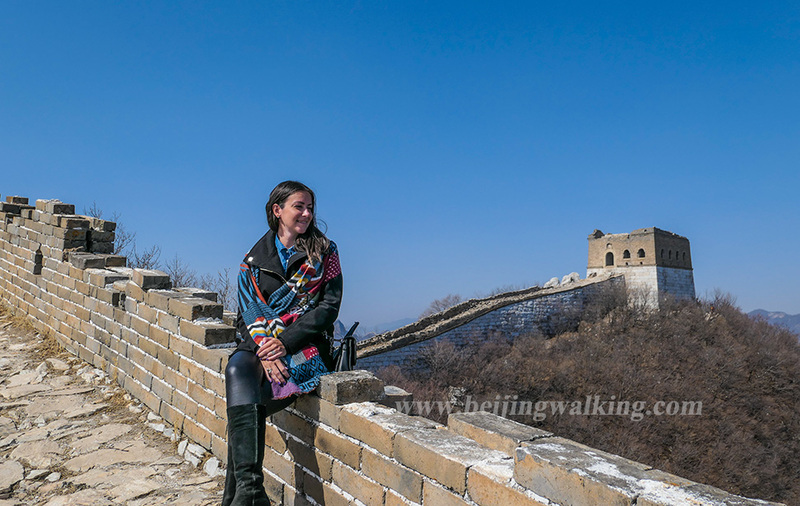 It is not only Badaling and Mutianyu, but most part of the Great Wall is also not rebuilt for tourists. 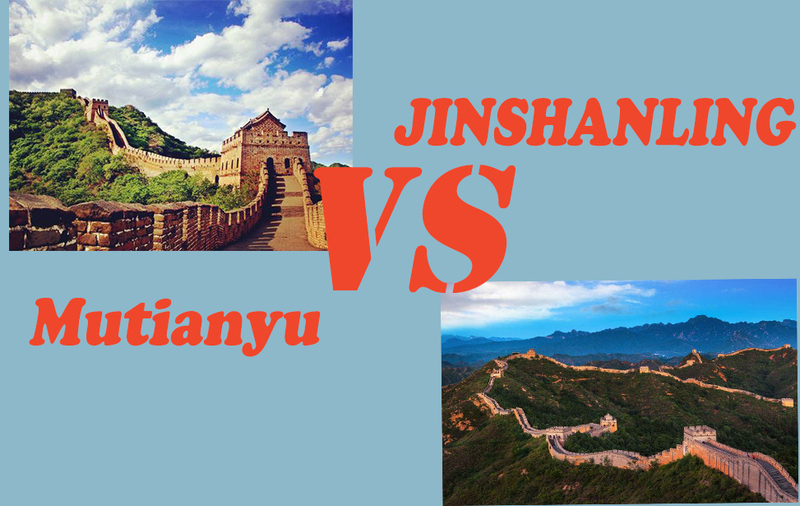 Such as Jiankou Great Wall, it is the most beautiful and dangerous Great Wall and the view is outstanding. To be safe, the best route is from Zhengbeilou to Mutianyu, this 10kms hike will give you a really special experience of the Great Wall. By the way, you can take the toboggan down from Mutianyu at the end of the Hike. If the summer palace is on your list, you are lucky to read this. The summer palace is one of the UNESCO heritage sights in Beijing, and busy all the time. After you go up to the longevity hill and go down from the north side, you will see the FOUR GREAT REGIONS where there are super nice Buddhist pagodas and artificial Gardens, you can take amazing photos there without a crowd. 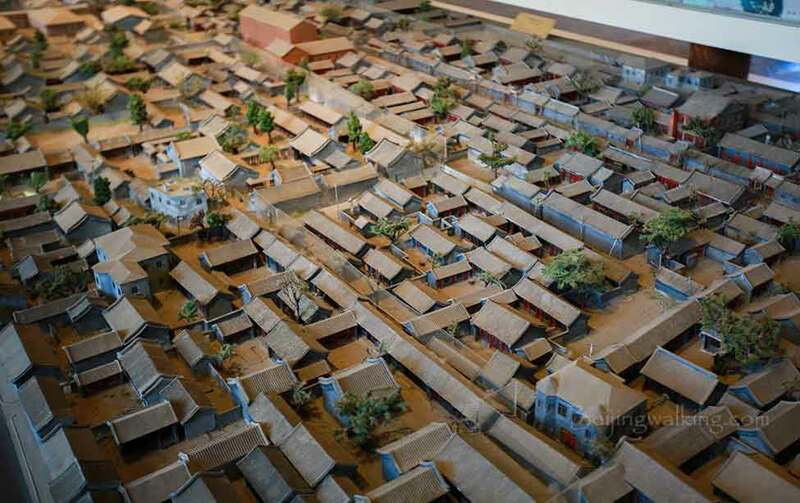 Hutong is huge, your guide book always shows the place where you can see a lot of shops and tourists. Such as Nanluoguxiang, drum and bell tower. But the hutong is huge and the local hutong is more interesting. I recommend you walk around the lama temple area. There are quite a lot of local hutongs to visit. This is real Beijing and real life. 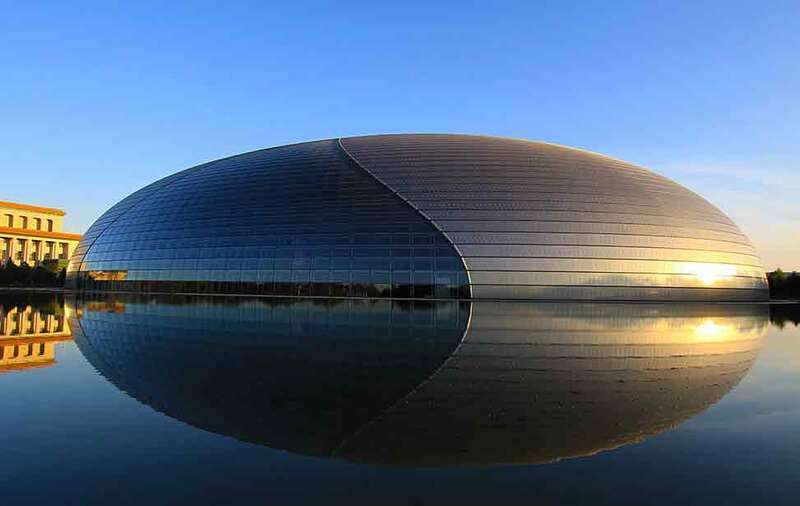 The best theater in China is the National center which has a lot of great shows every day. It is a great place to spend 1 evening here. There are many shows you can choose from, because of the language barrier, I recommend you watch the Chinese dance show. It always has English. Food is always an important reason for travel. There are Beijing duck and hot pot which are quite famous. But if you want to try the real Beijing flavor, Huguosi snack restaurant offer you the authentic Beijing breakfast. 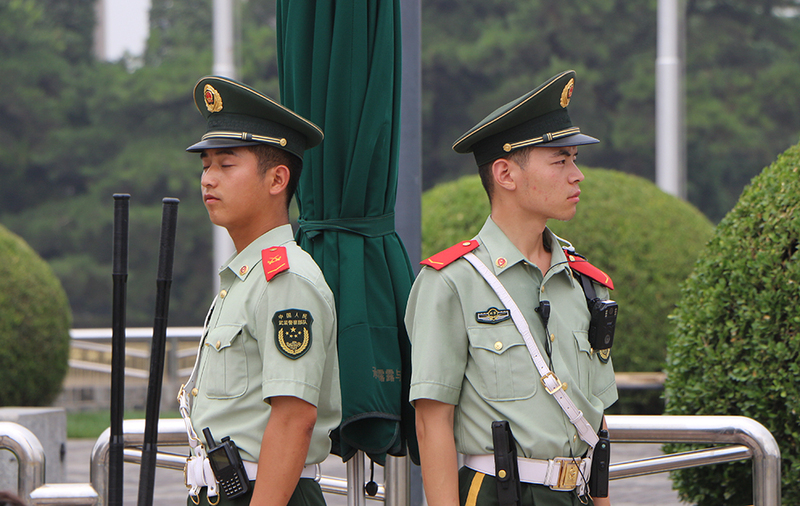 More information from The Beijinger. 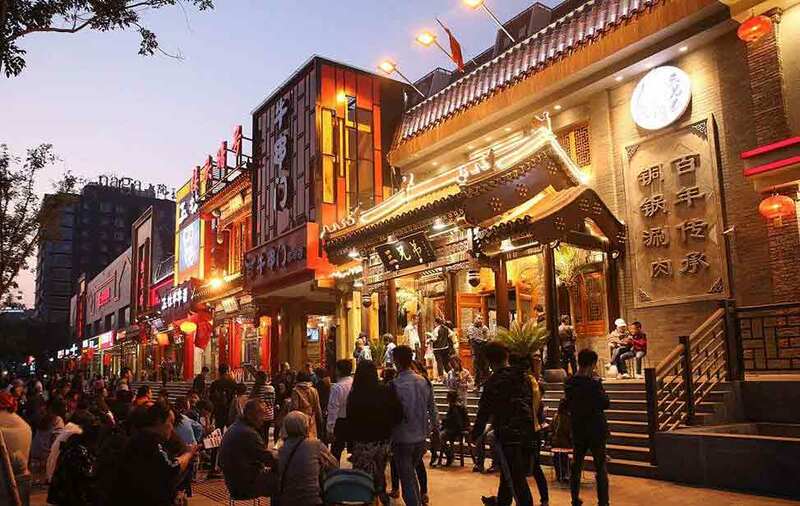 Ghost street in Beijing is the most famous food street in Beijing which is located near Beixinqiao station. There are hundreds if the restaurant you can choose from. The queue is always long on the weekends or holidays. Most locals will go for a dish called Malaxiaolongxia (麻辣小龙虾， Spicy crayfish). I recommend you choose HUDA (胡大) which is a chain restaurant and have 9 restaurants on the same street. Does it sound a bit crazy? Go to have a try! There are thousands of hotels in Beijing. 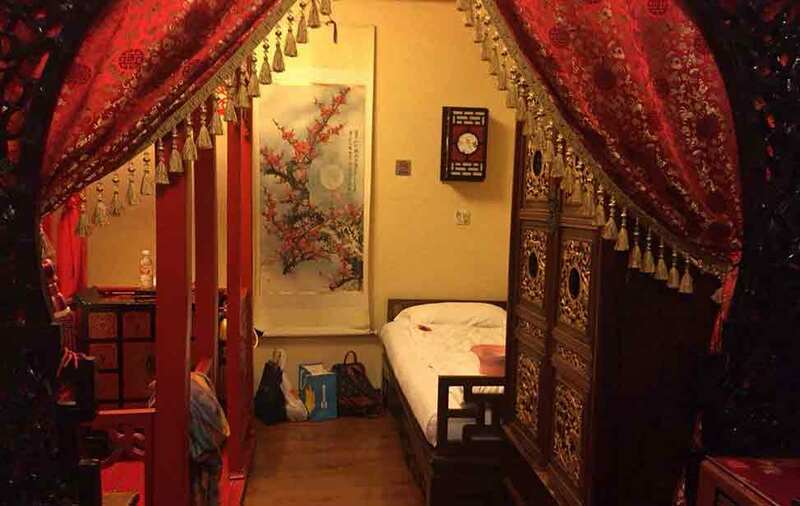 You can stay in the western hotel everywhere in the world, why not live like a local here in the hutongs. There are many Hutong hotels you can choose from, most of them are nice. The only problem is to find it on your first arrival as the hutong street is small and the taxi drivers usually don’t wont to drive inside. So you need to walk to your hotel, remember to do some homework before you get there or ask the pickup service from your hotel. I recommend you stay at Dongsi (东四) area where there are many hotels and close to all the tourist sights. 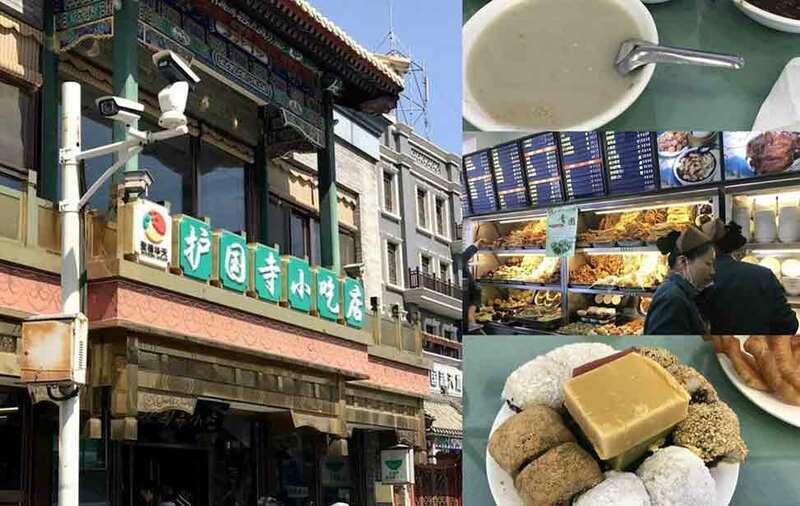 The price is cheaper compared with the Wangfujing area and more authentic. Such as Double happiness hotel, Hulu hotel, orchid hotel etc. Except for the things I listed, there still quite a lot of interesting things. What’re your options? Please let me know if you have any good ideas or just leave a message below. 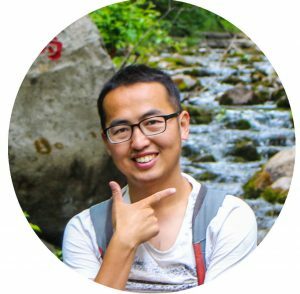 Let’s help to make the Beijing trip more interesting.